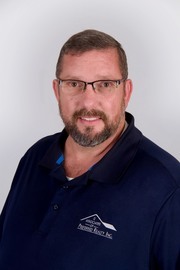 Glen Elliott - Associates of Preferred Realty Inc.
"Agents you know; A Name you can TRUST"
Hi! I am Glen Elliott, Broker/Realtor. I have been a licensed Real Estate Professional since 2005 and have been a TOP RESIDENTIAL PRODUCER, #1 SALES AND LISTING AGENT 2007, 2008 and 2009. I am a native of Morgan City. I married my high school sweetheart in 1988. We have four children and two grandchildren. I completed my Real Estate Education through Burk Baker School of Real Estate and Donaldson Educational Services. At this time, I am a member of the Bayou Board of Realtors, Greater Baton Rouge Association of Realtors, Realtors Association of Acadiana, Louisiana Realtors and The National Association of Realtors . My desire is to see all home buyers happy with their purchase and all sellers satisfied with their selling experience. Feel free to contact me at 985-399-1414 or email me at gelliott@aprhouses.com if I can help you with your next Real Estate transaction. Updated: 21st April, 2019 6:46 PM. Updated: 21st April, 2019 6:32 PM. Updated: 21st April, 2019 6:40 PM. Associates of Preferred Realty Inc.